A colourful story about a bad-tempered ladybird who won't say 'please' or 'thank you', won't share, and thinks she is bigger and better than anyone else. 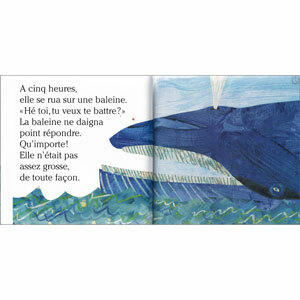 This is a good story to help children to learn about of time, size, and shape, as well as the benefits of friendship and good manners. 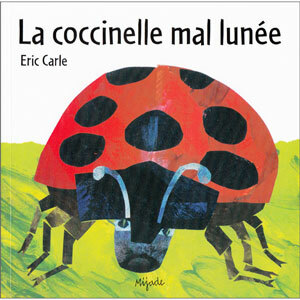 La coccinelle mal lunée is written entirely in French as it is aimed at native French speakers, although the language is fairly simple as it is aimed at very young children.